3 Other situations Something was happening, when an action ‘interrupted’ it. 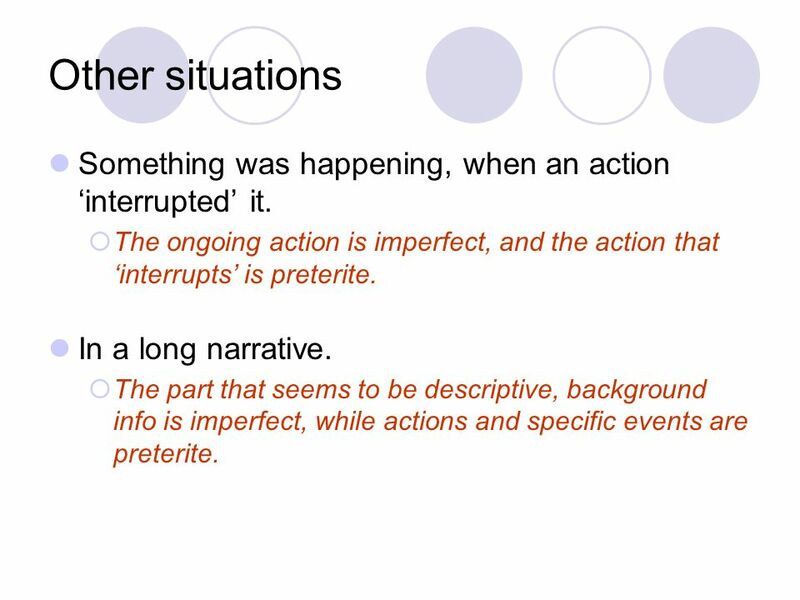 The ongoing action is imperfect, and the action that ‘interrupts’ is preterite. In a long narrative. 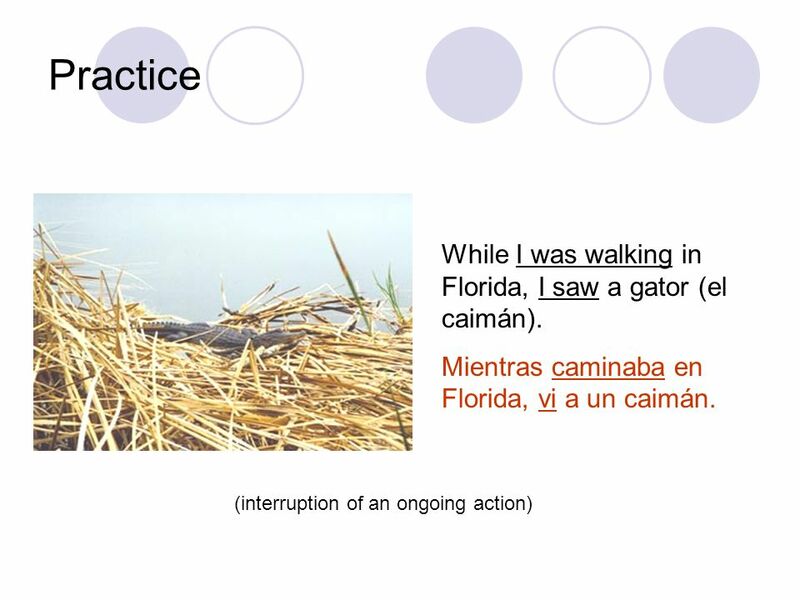 The part that seems to be descriptive, background info is imperfect, while actions and specific events are preterite. 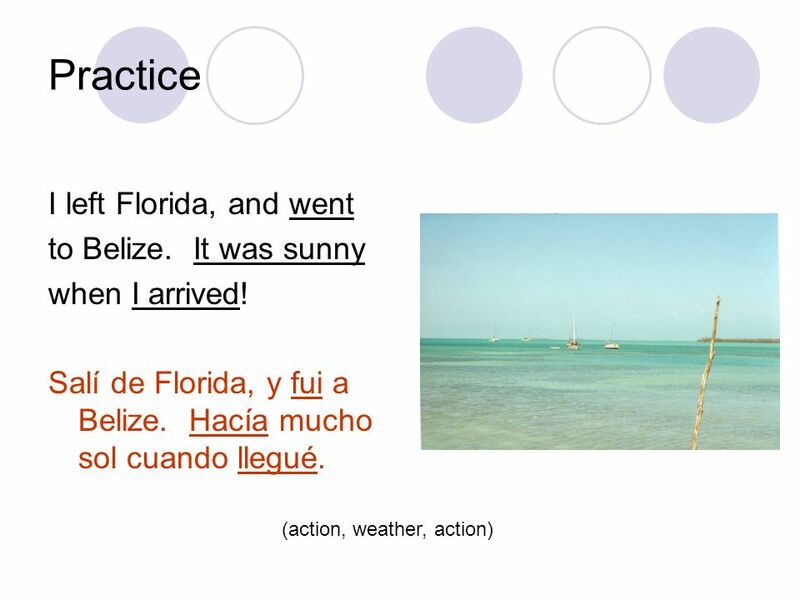 6 Practice It was four o’clock when my mom sent me an e-mail. 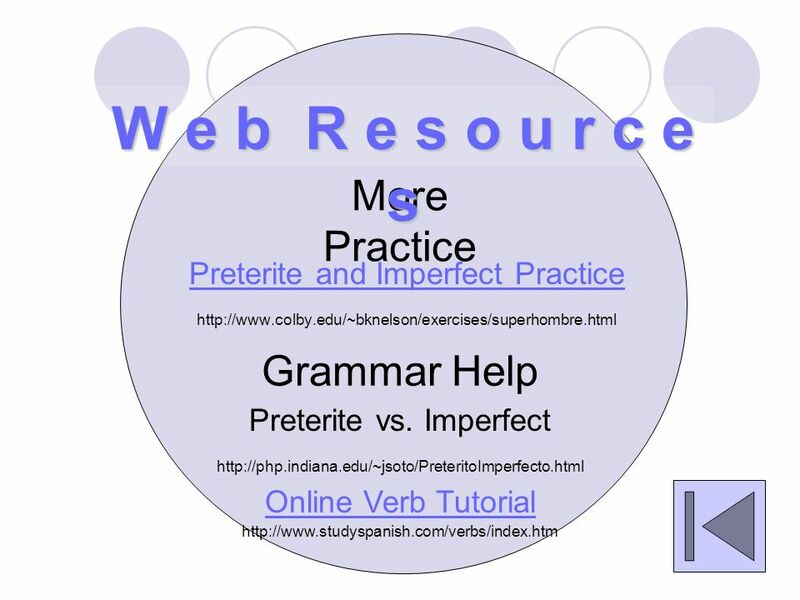 Download ppt "Preterite and Imperfect Verbs"
Choosing when to use the correct past tense By Jami Sipe. 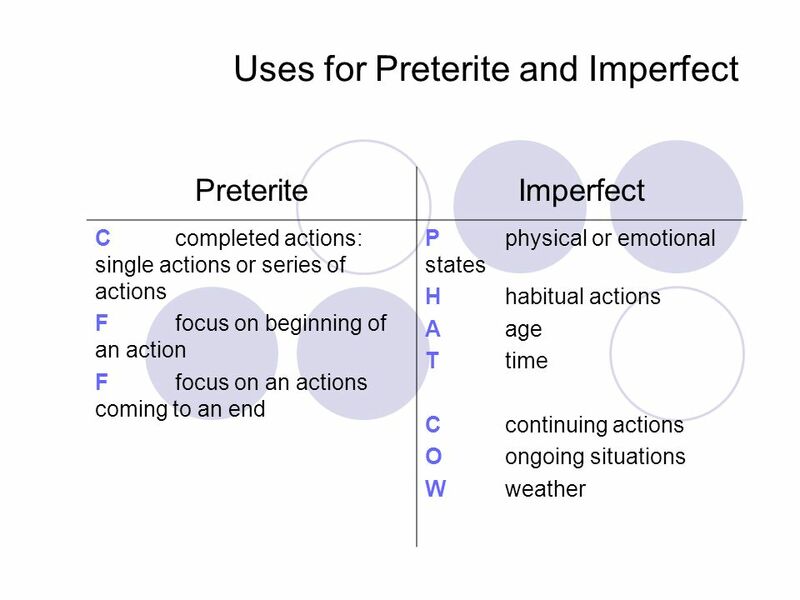 Uses of the imperfect The imperfect is used for actions that are not countable. 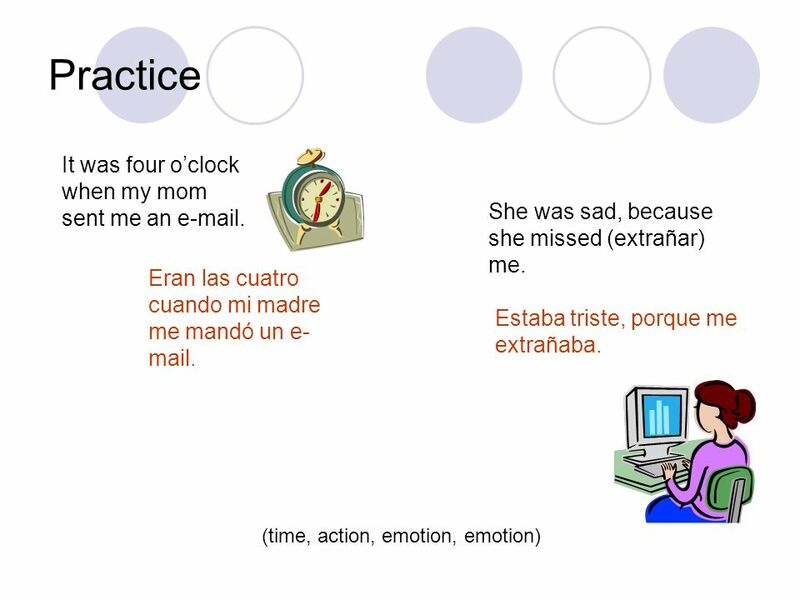 Used to do or used to happen (Habitual actions) Yo iba al consultorio cada. Beginning Middle End Beginning & End I started to work at three. When I entered, both were speaking about their classes. I stopped work at four in the. 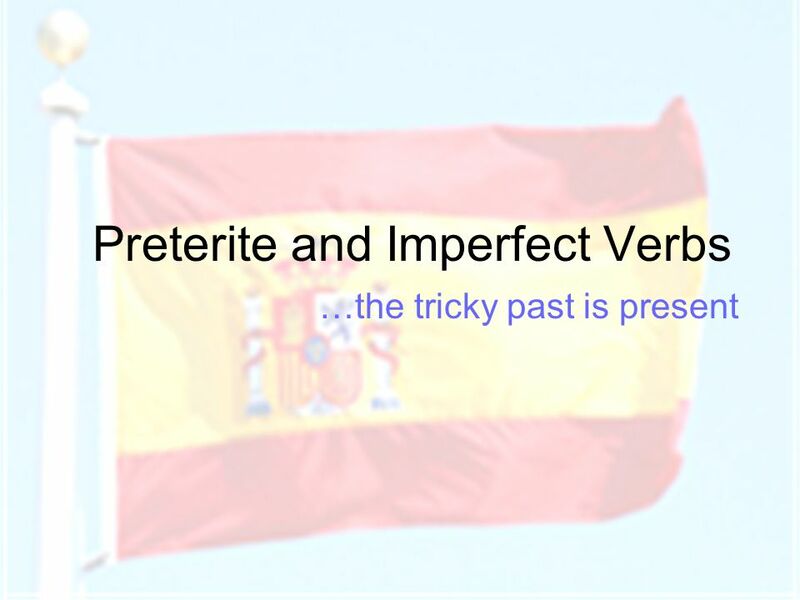 Preterito vs Imperfecto. No se pelean, se llevan bien They actually complement each other; they work together to create a well rounded account of the. 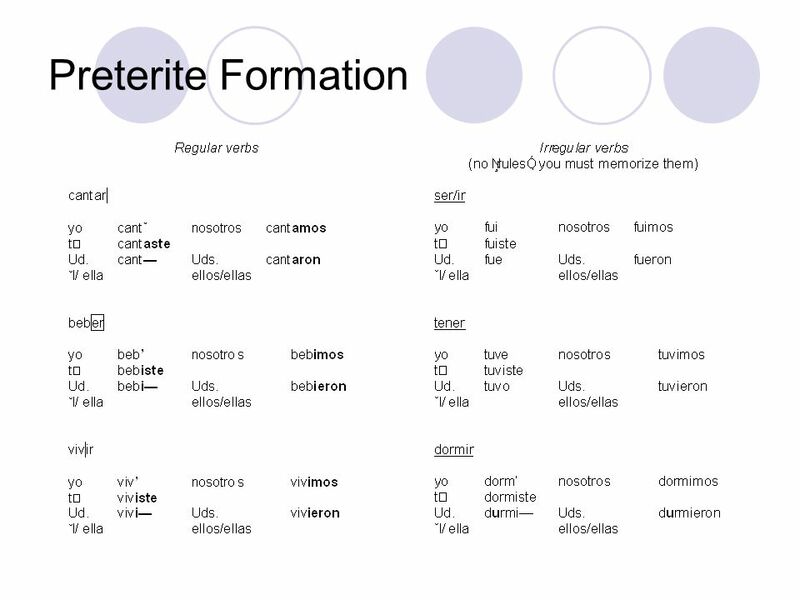 Essential preterites ( How to say what you did… ) Bebí Comi Decidi Di un paseo Empezé Encontré Conocí a… Entré en… I drank I ate I decided I went for a.
Práctica con el pretérito y el imperfecto. It was a sunny day. Era un día soleado.